Night mode is becoming an essential feature across all the devices such as mobile phones, tablets, and PCs. It serves as an excellent blue light controller that saves our eyes from getting strained. Most of our work happens on the devices mentioned above, and hence it is important to have such dedicated features to control the harmful impact of blue light, which often leads to sleep-related problems. Until now, Google’s Chrome OS lacked the Night mode, but it is finally getting a built-in night mode. 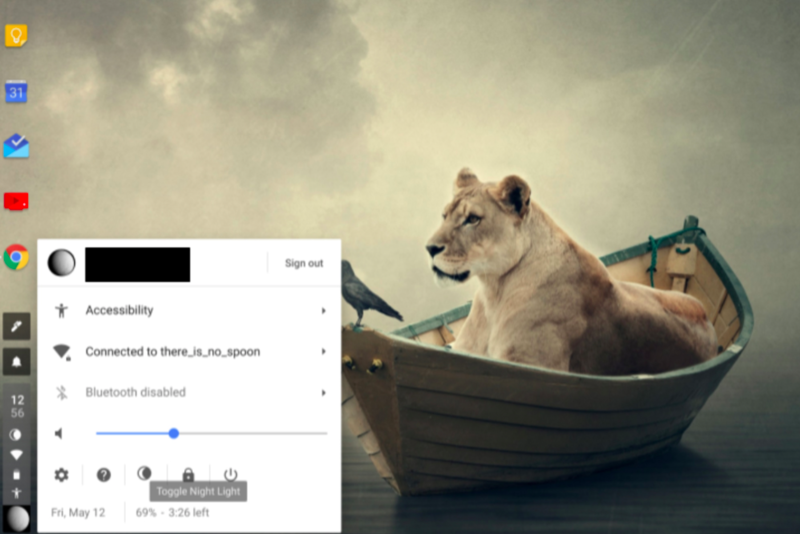 Some Chrome OS users on Reddit gave discovered the upcoming night-mode on the Chrome OS, which is present in its Settings menu. On Chrome OS, the night mode emits a yellowish tint that blocks the blue light. Currently, the night mode is not available as a stable channel on Chrome OS, which means if you want it now then you will have to get it through the Canary channel. We have listed a few steps below that will help you in enabling the mode on your Chrome OS. Before going ahead with the guide, we would like to inform you that this process puts your machine in a reset mode and being an unstable build, you will experience a lot of bugs. Step 1: Firstly, you’ll have to get into the developer mode on your Chromebook. To turn on the developer mode, press Esc + Refresh (F5) + Power. You’ll see a blank screen with a warning now, to dismiss it press Ctrl + D and then you will get into the developer mode. Make sure you press Ctrl + D when your system boots so that you can directly get into developer mode without verification. After completing the second step, your Chromebook should boot into the Canary channel of Chrome OS. Now, go to the “Settings” menu on your Chrome OS and then turn the slider in front of “Night Mode” towards the right. Press Ctrl + Alt + T and type “shell” command. After that, type “sudo su” and then enter this command – “update_engine_client –channel=stable-channel -update“. Your system will reboot now, press space bar at boot and you’ll see the OS verification screen again. You are now on the stable channel.